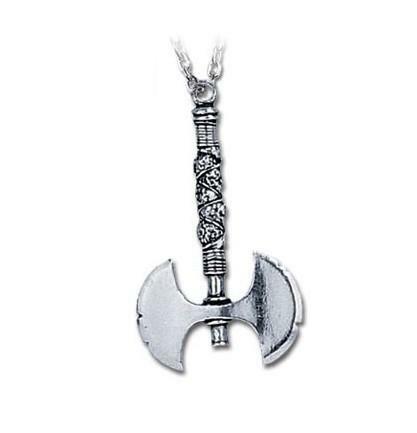 The Double Axe Pendant recreates in miniature the professional trade tool of barbarian warlords. 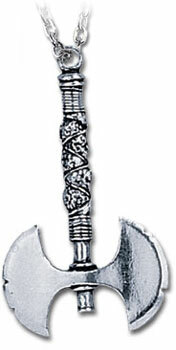 This striking gothic axe pendant hangs from the end of its handle, showing off a pair of curved blades to each side. 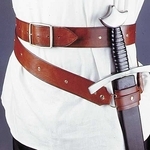 The axe handle is textured for realism, and the blades display tiny notches along their edges from their use in battle. 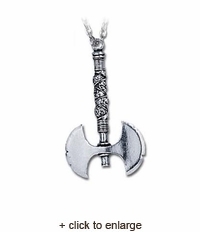 Crafted from fine English pewter, this barbarian axe pendant possesses a brilliant gleam and hangs from a chain. This gothic accessory goes well with a variety of different looks, offering a unique piece that is sure to become a favorite.